Beards Behind Bars 2 was held a few weeks back at the historic Ohio State Reformatory in Mansfield Ohio. The Beardcaster attended this event, where he placed 3rd to Luke Sumpter, 2nd place, and Butch Amos who won the goatee category. The best part of the evening was a tribute beard by Natali Johnston of the Holy City Beard and Mustache Society in the Whiskerina “Natural” category. When the Whiskerinas make “tribute” beards they usually pick an influential person in the bearding community and try to emulate their style, their look, and their facial hair as best as they can. Natali chose to make her tribute to me, The Beardcaster. She did such an amazing job with all the details she included in the tribute. The hair color was spot on and the outfit was on point. I had actually given Natali a microphone and recorder earlier in the afternoon so she could play around and record some silly stuff. Little did I know she was going to use those [pieces to complete her best masterpiece yet! 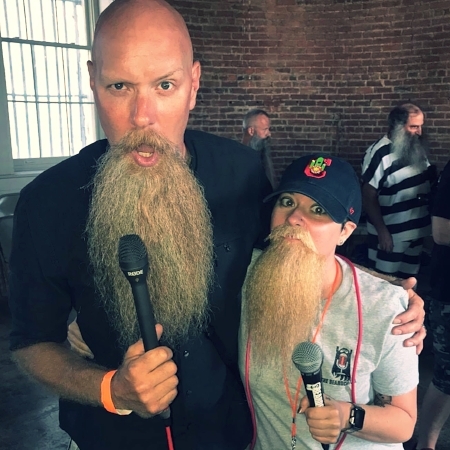 I had planned on getting some crowd interviews at this event, which was presented by Beards Of The Old Northwest and Duck River Beard Co., but I left that to Natali as I felt she would do a fantastic job! Natali interviewed many people and gave me about 3+ hours of tape to go through! I spent many hours going through the first hour plus and was able to put together this episode. She talked to a few attendants and it was really entertaining to hear her use some of my phrases and for people to tell her what a great job she did replicating my look. She then interviewed all of the judges for the event and asked them all what they were looking for from the contestants that were to be critiqued. I was very honored and proud of the job she did and still can’t believe that she picked me to tribute. Be sure to visit www.thebeardcaster.com/blog/72 to see all the photos from the event. I hope you enjoy! After a successful 2017 event at the world-famous and historic Ohio State Reformatory, Beards of the Old Northwest is taking you back to prison for "Beards Behind Bars 2" on Saturday June 30th, 2018! Walk the same halls as history's most infamous prisoners. Immerse yourself into the foundation that formed "The Shawshank Redemption". Hunt for the paranormal on the reformatory grounds! 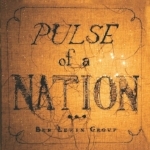 Proceeds will go to benefit The Ohio State Reformation Society and The North End Community Improvement Collaborative. Superstar Whiskerina, Natali Johnston, and Facial Hair League founder, Brett Strauss, sit down at Tried and True Barber and Tattoo in Austin, Texas to have a fun hang-out sesh. We talked about tribute beards and how Natali lives in the dark shadow of her husband, Aaron Johnston. Brett discussed the changes and improvements he has made to the FHL app and how they are getting ready to celebrate their 100th competition that they have been part of. We were joined by a fun cast of assorted facial hair people as they popped in and out waiting to see if they could get squeezed in for a special tattoo for the Come and Shave it 12 event presented by Tried and True and the Austin Facial Hair Club. This conversation was an all over the place good time between the 3 of us and we covered many strange and funny topics. Make sure you listen to the bitter end as you can hear what it is like to ride in a car with #1 Natural Goatee in the World, Aaron D Johnston, #17 Natural Goatee Andrew Mattson, Natali, and myself, as we travel the streets of Austin. You may not find it as funny as us but it was a hoot for us!! !